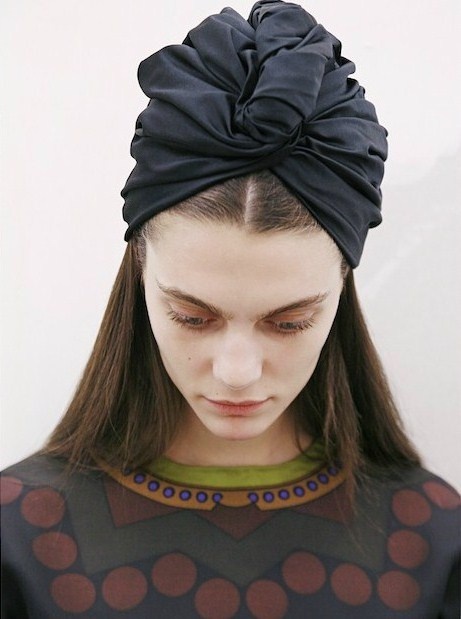 My turban fetish continues into this year. I'm going to get some into my outfit shoots soon (I feel like they look best on longer hair, I may or may not be waiting for my hair to get long enough again). Those rounded tortoise glasses are the best. The bulky sweater is second best. 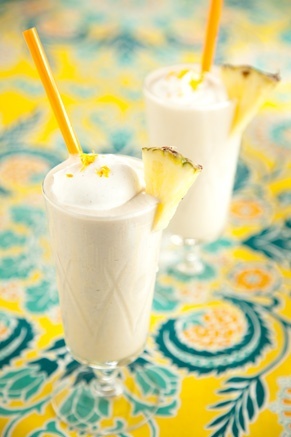 A pina colada smoothie sounds pretty good (just a smoothie, no alcohol). I've been obsessed with the frozen pineapple chunks at Trader Joe's lately. I'll eat them like pop corn. 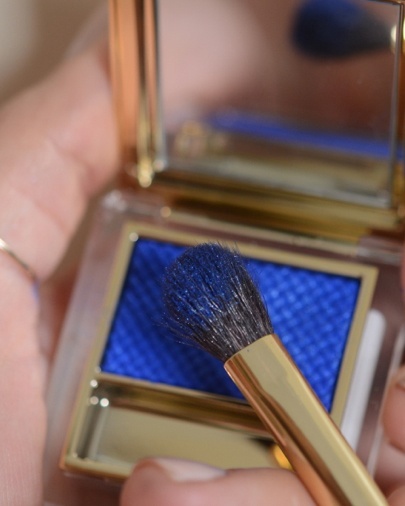 I think it would be fun to rock some vibrant blue eyeshadow at some point. I just feel like it's a dressy, night out kind of thing and who am I kidding I don't go out at night! I'm not really a colorful shadow kind of girl, but I would love to give it a try. Maybe a very stark/mod 1960's look with colorful shadow on a super neutral palette? 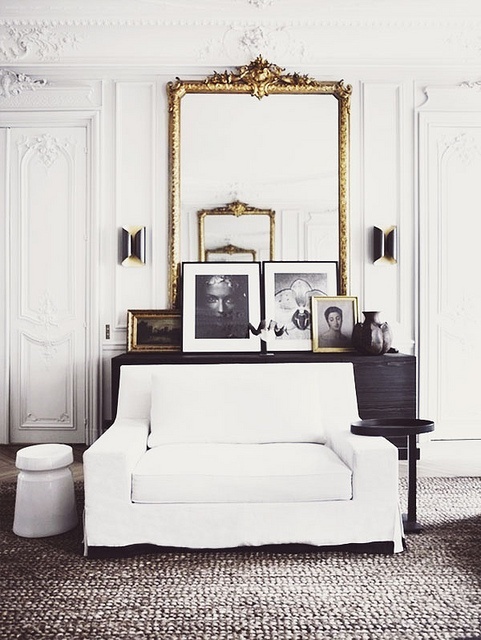 Still envious of white walls and so wanting to paint my own. Love the combo of burgundy with leopard (and emerald!) Jewel tones complement that pattern so well in my opinion. 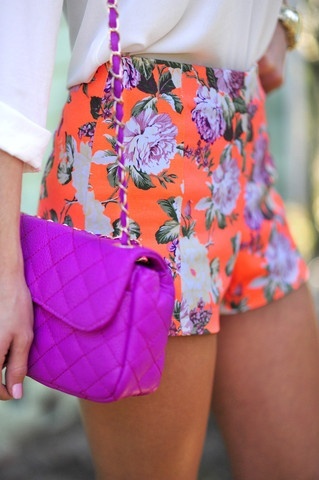 Loving the bold color and print on the shorts. Still on the fence about that purse though. It's a little garish. Rompers! The stuff of summer.